Are you keen on heading outdoors with your four-legged companion? These are our favourite dog friendly hikes and walking trails around the Western and Eastern Cape. Before heading out the doors and into the great outdoors, don’t forget to keep safety and health of both you and your four-legged walking partner a priority. Remember to follow the rules, keep dogs on leads where required and clean up any mess, and stay well hydrated! The trail is around 4km’s in total and is a suitable for beginners and seasoned trail walkers. Dogs are allowed to run freely without a leash on this trail but make sure you take plenty of water for both you and your pup. This unique greenbelt area offers a few options for walking trails. For an easy 30-minute stroll opt for The Alphen Trail which offers beautiful greenery. Dogs must be on a lead at all times. For something more challenging, try the Klaasenbosch Trail which takes about an hour to walk. This beautiful forest offers lots of trails for you and your dog to explore, dogs must be on a lead. You can to make a day of it, by walking up to Rhodes Memorial Restaurant for a cup of tea. 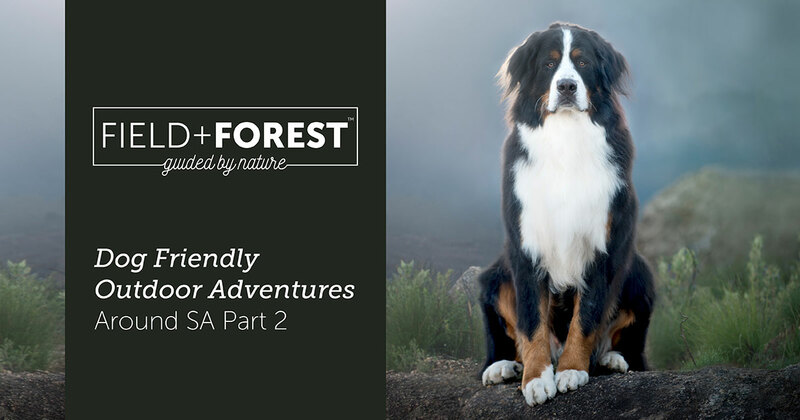 Luckily, this beautiful spot is one of the few National Parks in South Africa that is dog-friendly. However, you’ll need a permit so make sure you contact Table Mountain National Park. Situated in Bellville directly alongside the N1, at the interface of the Durban Road activity corridor. The park offers plenty of footpaths and trails which make it a great dog-walking spot. This dog-friendly park in Sunningdale offers access to mess-bags, a water fountain and large fenced off areas for dogs to roam off leash, perfect for an outdoor adventure. In the heart of Rondebosch, you can find this dog-walking paradise with winding paths and big, open fields perfect for throwing the ball. This easy dog-friendly hiking trail is very popular with locals. It covers an 8km circular route along the coast in the Schoenmakerskop-Sardinia Bay Nature Reserve near Port Elizabeth. The trail takes about three hours and offers some lovely seascapes and landscapes. To balance out your four-legged companions’ active lifestyle, we recommend feeding them Protein Centric Diet™ such as offered by Field + Forest™ for Optimum Biosuitability™.